T3, the gadget magazine, held its annual awards bash in London last night, where it lavished praise on the good and the great of the technological award. Run by the same publishers of TechRadar, and hosted by radio personality Johnny Vaughan, the T3 Awards were bigger than ever this year, with a whole host of celebrities and technorati turning up to the event to see which gadgets won on the night. One person who couldn't be there to accept the award but did so through a pre-recorded acceptance speech was Stephen Fry – who T3 voted Tech Personality of the Year. Impressed with the accolade he even Twittered he had won once the announcement was made. When it came to gadgets and tech innovations, HTC and Google were the big winners. The HTC Hero was voted Phone of the Year, and Google Android given the prize of Launch of the Year. Google was also awarded with the Tech Brand of the Year accolade. Other winners included Samsung, who nabbed TV of the Year for its superb LED-backlit UE40B7000 WW and the Sony X-Series Walkman, which pipped Apple's iPod touch to the post for Music Product of the Year. 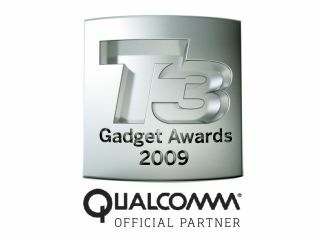 You can find the full list of products and people who won by logging on to http://awards.t3.com. If you want to see a humbled Stephen Fry accept his award and more videos of the night, then point your browser here.